TURN YOUR SINGLE CURRENCY STORE INTO A MULTI CURRENCY STORE! With the very nature of the internet, your store is practically open to the whole world so why not make the experience more enjoyable and easier for your visitors but allowing them to view your store in their local currency. 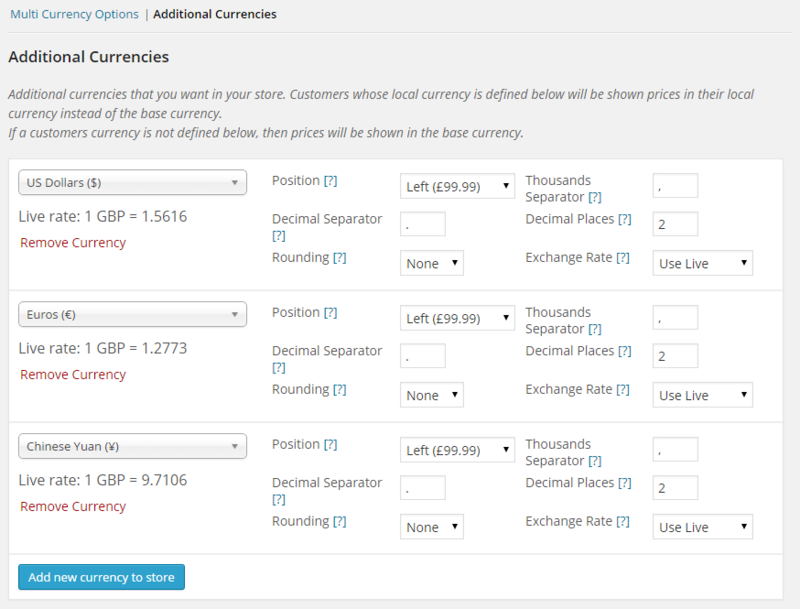 The Woocommerce Multi Currency Plugin gives you total control in adding as many currencies as you want to your store and how the prices of your products are displayed in each currency. Add your currencies, set the price of your products in that currency or convert the base price using a live or custom exchange rate and allow the visitor to checkout in their local currency. It couldn’t be more easier to get Multi Currency setup in your store. * Fix: Fixed a bug with EUR not being recognised as a supported currency when selecting ECB as the source. 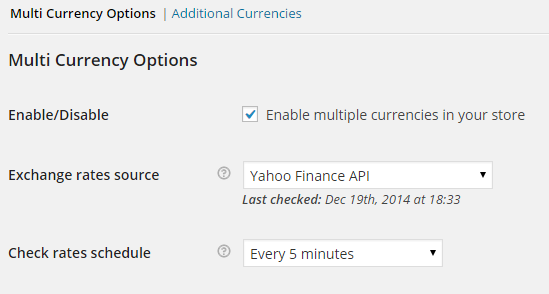 * Fix: Fixed a bug when selecting custom exchange rates as the source. * Fix: Fixed a bug where shipping rates would not be converted correctly.